Are you ready to turn your wardrobe into a technicolor dream? Cause, it’s seems like a I am. 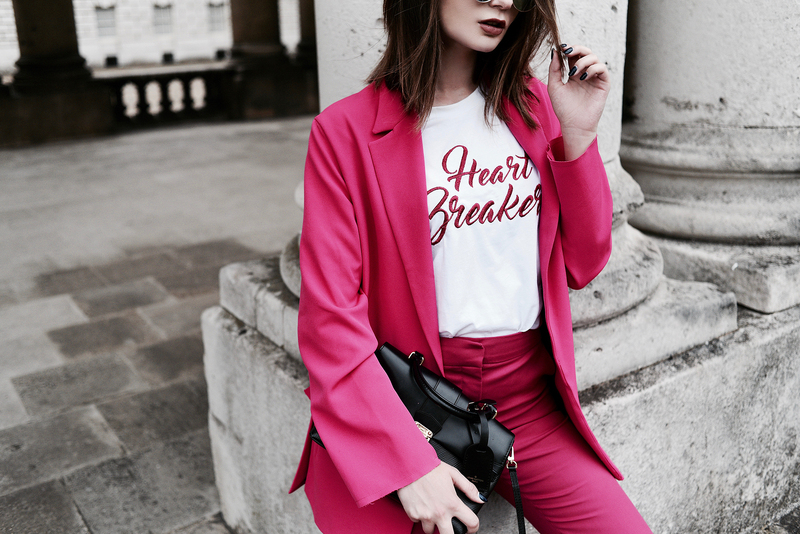 I used to hate hot pink with all my heart, I felt this colour has been left somewhere in my school days and it’s not coming back to my hangers ever again. Seems like I was so wrong. 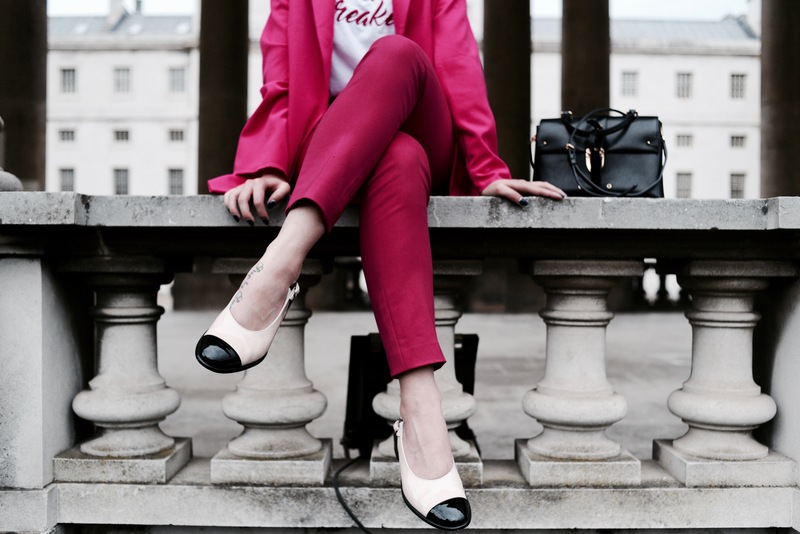 This hue of pink is really one of the hottest colours of SS17, making a great company to lemony-yellow and neon orange. I really love it in smart suits and geometrical dresses, it really makes you feel like a modern Barbie. Luckily, I managed to build this suit myself, I bought the blazer on ASOS and pants in Zara, as they really fit very well. 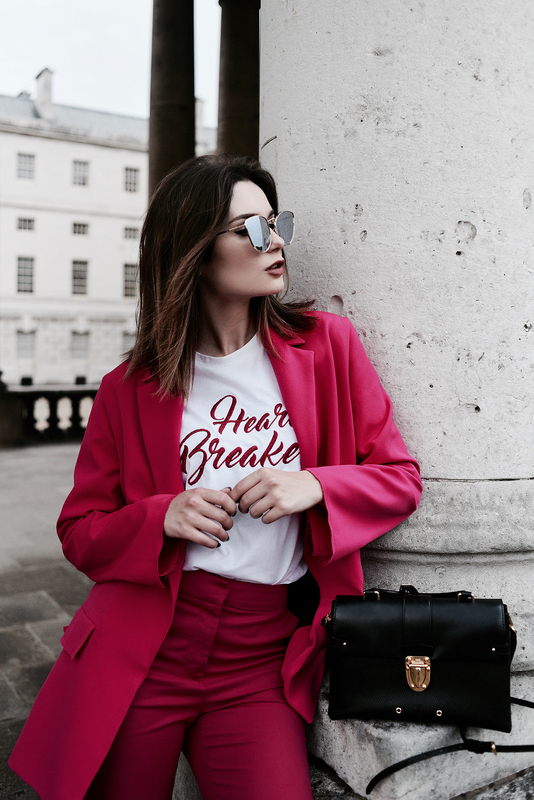 When I found that Mango t-shirt with a signature Barbie font, I knew straight away that it will complete my outfit perfectly.